Tips To Take Care Of New Tattoo – You Can Check Here! 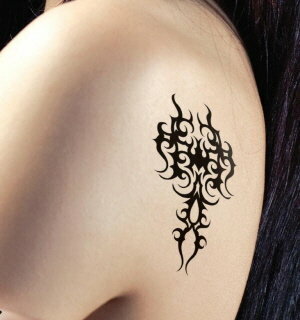 Tattoo- is probably one of a style statement that everyone likes to flaunt. Tattoo looks stunning giving an overall stylish quotient. In fact, there are many, who like to flaunt this look on different parts of their body depending upon their whims. There are umpteen studios that help to achieve perfect tattoo- having a collection of assorted and unique designs. Once you have selected your store, getting a tattoo becomes easier. However, to ensure that the Tattoo remains the way it was designed to be, it is imperative to take good care of new tattoos. The time after the tattoo is embedded is the appropriate seeding period and if proper care is taken during this phase, one is sure to get a sizzling and stunning tattoo for lifetime. Here are some tips to help achieve the same. · Always listen to your instructor- The basic thing to follow is to listen to your instructor. If he is a proper trained one, he is sure to help you out with taking proper care of your tattoo. Listen to the steps that he enumerates and stick to the same. · Leave the bandage on- Most of the artists of tattoo Studio in Gurgaon prefer to put on a bandage (cloth or plastic) on the art after completion. It is recommended to leave on the bandage for a minimum duration of 2 hours. This time period helps to place the tattoo in place and also protects it from bacterial infection. The maximum duration for which the bandage can be put on varies between 4 to 6 hours. Consult your artist to get the best of the results. · Wash thoroughly- After removing the bandage, it is advisable to wash off the tattoo area. Do this indirectly by splashing lukewarm water over it. Ensure that all the liquids are cleaned off to prevent any chance of infection and also to reduce scabbing. Use water indirectly and avoid washing it with sponge or luffa as chances are that it may hurt and prevent the tattoo from setting. After washing, pat it dry with a clean soft cloth. Avoid rubbing to prevent itching and irritation. · Ointment and Moisturizer- After washing and drying, the next step is to apply a medicated ointment or the one as guided by the artist. Use it continuously at least once in a day for about a week. The ointment will help to prevent any kind of infection. Also after the one week, start applying moisturizer religiously as one of the points to remember is that the skin should never be let dry. This will aid in natural scabbing without causing any infection or harm. All the more moisturizer will also help in healing process. · Avoid swimming- Completely avoid swimming or keeping the tattoo submerged in water for a prolonged period. This will help to heal faster. Use all these tips and get a perfect tattoo that you had dreamed of.